The Angel Wing Begonia (also called Dragon Wing) is native to tropical regions and therefore prefers light, humid environments. The more light exposure they receive, the more colorful their leaves will be. 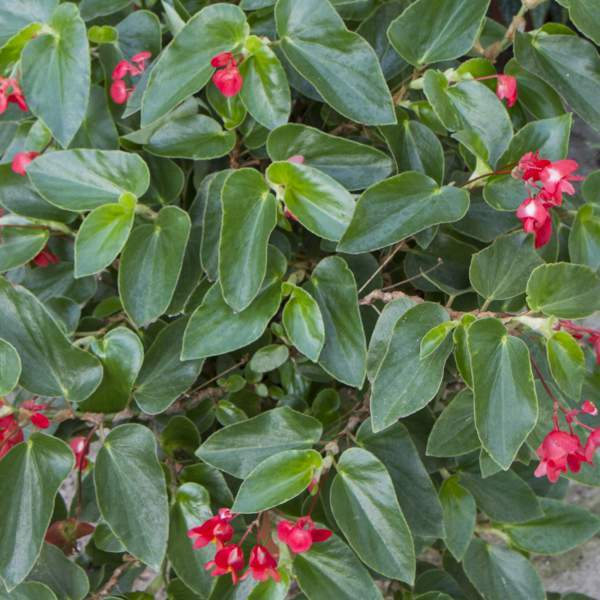 Your customers will love the versatility of the Angel Wing as a houseplant because it can be potted and grown as a dwarf (to add interest to counters and desks) or it can be grown as a floor plant (with some varieties reaching up to 5 feet in height). For best results with Angel Wing Begonias, we recommend using a constant feed program of 150-200 ppm N. Maintain a pH between 5.8 - 6.2. Angel Wing Begonias will flower year-round if cared for properly. We recommend that you pinch them 5-10 days after transplanting to your final container. They may require occasional additional pinches to shape the plant for your final needs. For hanging baskets, an average pot will need to be spaced at 2’ centers. Space pots as needed to allow air flow and penetration of light between plants. Use proper pinching to control growth. Some varieties of Angel Wing are susceptible to the fungal disease powdery mildew. To treat, spray the infected plants with a fungicide (including neem oil, sulfur, lime-sulfur, or potassium bicarbonate). Avoid overhead watering and space/prune plants for good airflow to reduce humidity. Remember not to compost any infected plant as the wind can carry this fungus to healthy plants. Also watch for root rot, stem rot and botrytis while the days are short. These problems are usually associated with wet or humid conditions. You can prevent them by allowing the plant to dry out between waterings, allowing for good airflow in your greenhouse, and spacing to allow the sun to penetrate to the soil level. The most common chemicals used to treat botrytis are Medallion and Banrot. Use them as a drench according to each label’s instructions. 1. We recommend planting 4 starter plants per 10 inch basket. Use a well-drained soil in your baskets and plant your starter plants deep, allowing the ellepot to be completely covered by the soil. If you are planting 4 inch pots, 1 plant per pot should be sufficient if you have enough time. Plant it directly in the middle of your pot. 2. Pinching is recommended 5-10 days after transplantation. They may require occasional additional pinches to shape the plant for your final needs.